The Raptor Tactical Sentinel Skull Crusher GEN 2.0 is the newest in tactical headgear to hit the market, featuring 2 dial-locks to quickly adjust your exact fit. Its lightweight design and comfort padding allows you to navigate obstacles with ease. Our Skull Crusher provides hands-free use with many night vision devices and features an incredible amount of adjustment. The minimal profile and mesh padding ensures plenty of air flow during extended wear. The Sentinel is compatible with all base plates mounts available on the market, with pre-cut holes you can put shrouds such as WILCOX, NOROTOS, and standard issue base plates. 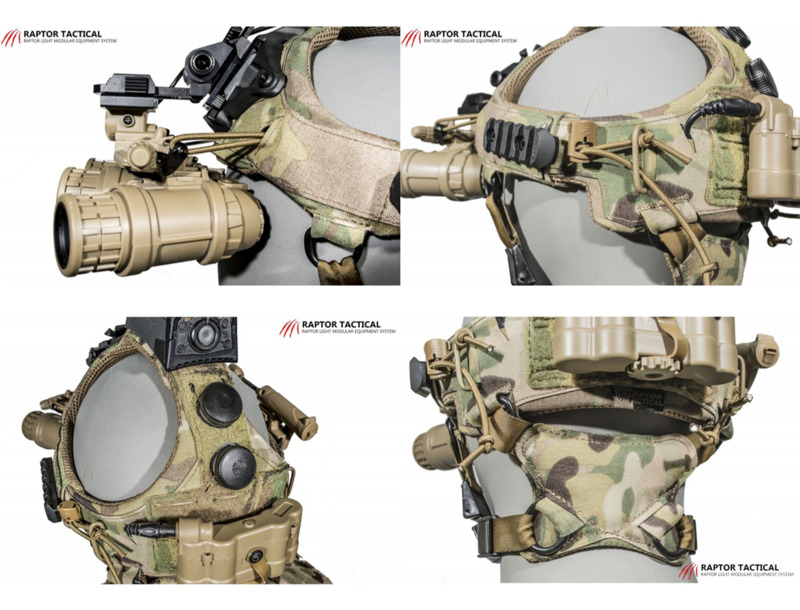 The Sentinel Skull Crusher features are rail mounting holes on the sides that can accommodate MAGPUL MOE rails for the addition various accessories such as lights, illuminators, and cameras. Again on the top, we put loop portion where you can attach your V-Lite or MOHOC camera. On the back, there is a loop-molle panel where you can attach your counterweight pouch or use molle mounting system to add your pouch. On each side and a top, we provide three access points for your cables that can get weaved through internally giving you slick, clean and ergonomic look. Sentinel Skull Crusher only. 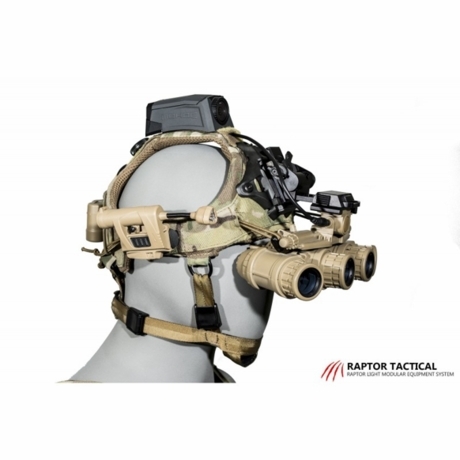 Night vision and mounted accessories sold separately.